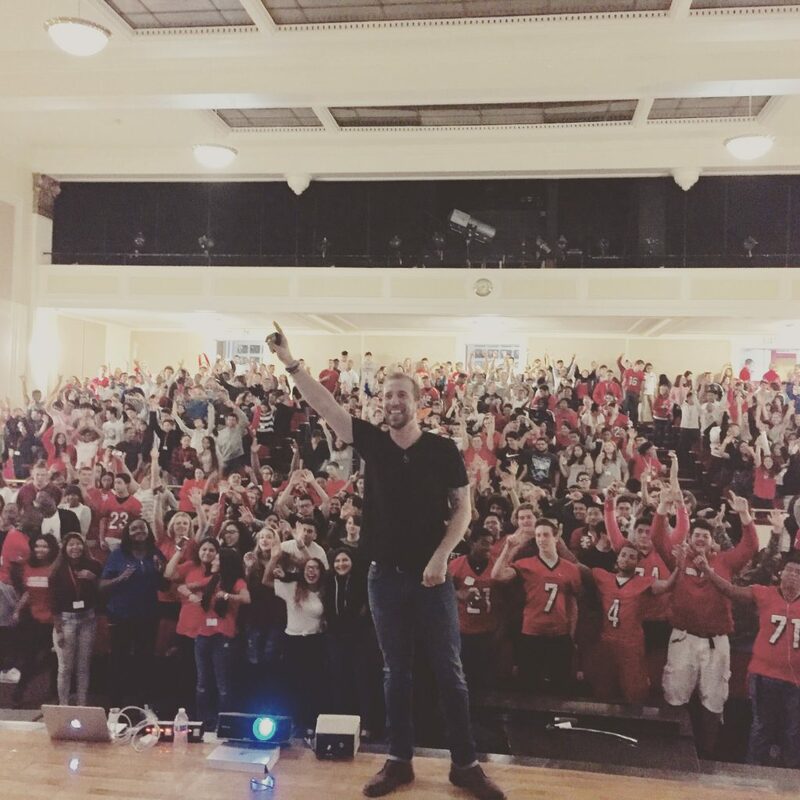 Today, John from Blueprint Mental Health presented on the topic of bullying in front of 600 students at Bound Brook High School. His presentation, “Thank You to the Bully” From Bullied to Empowered using DBT, takes a unique approach to dealing with the bullying epidemic. It teaches students coping and social skills to assist them in dealing with bullies. Further, as its title suggests, “Thank You to the Bully” demonstrates the unique opportunities for growth and gratitude that bullying can present to its victims. Through personal anecdotes, pop culture examples, and therapy techniques John demonstrates how students can go “from bullied to empowered.” “While our work on bullying prevention is extremely important, we also need to make sure that we’re equipping our kids with the skills needed to cope when they inevitably face adversity in their lives,” John says of the presentation. These skills are based in the five modules of Dialectical Behavioral Therapy (DBT). Designed in the 1970s, DBT seeks to reduce impulsive behaviors commonly seen in high-risk individuals.